VILLA DULCINEA – Stunning beach front condominium with fantastic north end location. Villa Dulcinea is one of only six units in the unique Las Hamacas condos, just steps from the beach and walking distance to downtown. 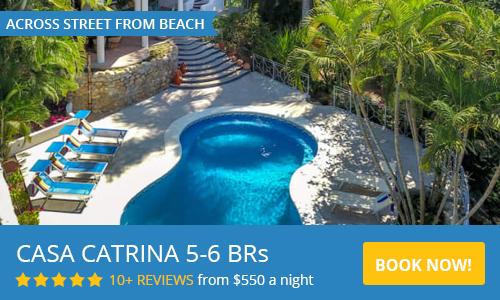 Villa Dulcinea is a very spacious 3 bedroom, 3 bath villa with shared pool. 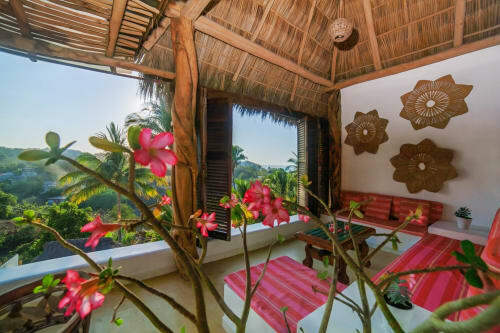 Classic Mexican architecture fused with modern curves and vibrant finishes, the villa seamlessly blends indoor and outdoor living - Sayulita style! Villa Dulcinea is a very spacious villa with large, well equipped kitchen, comfortable living and dining area, plenty of covered terrazzo space, surrounded by lush gardens. A perfect vacation getaway home for relaxing and enjoying with friends and family. Villa Dulcinea has a well established rental history.